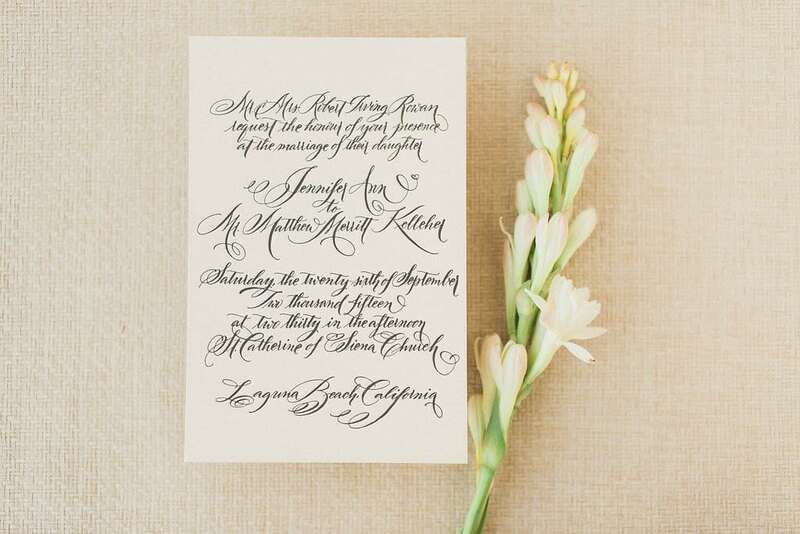 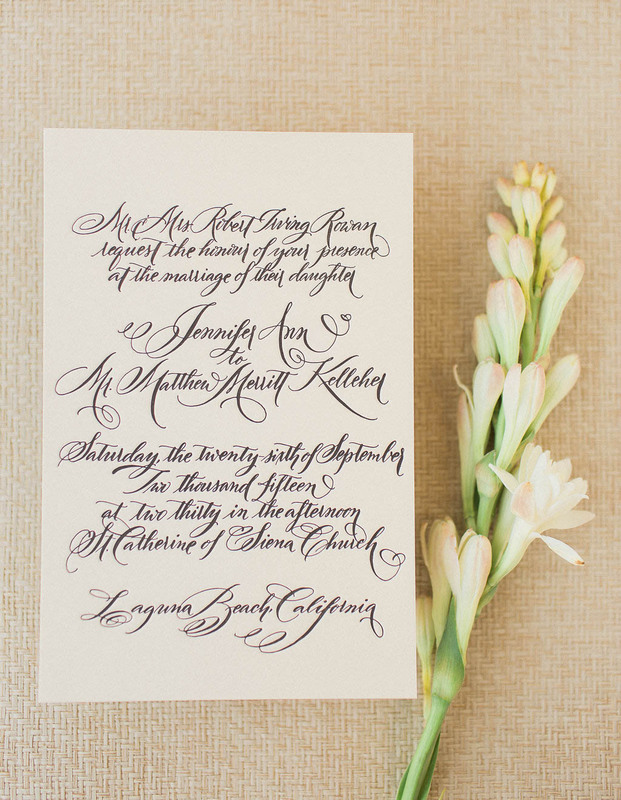 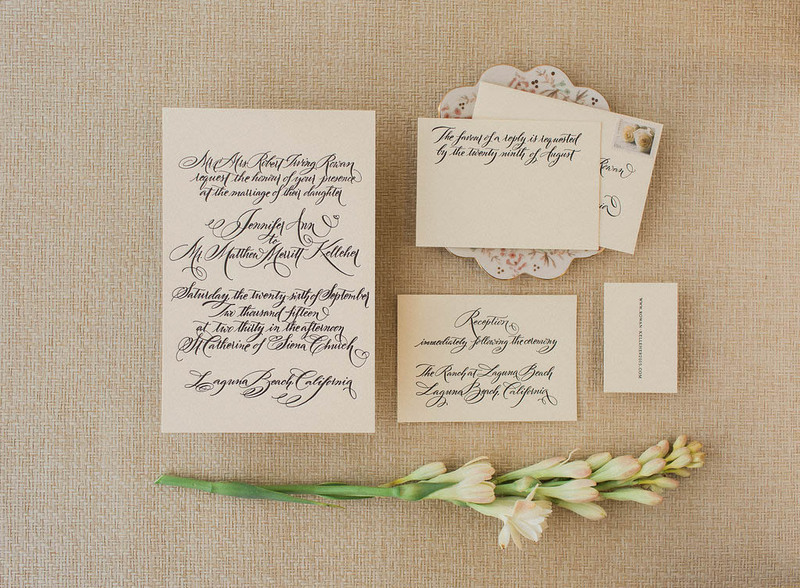 This all calligraphy suite features our Rowan calligraphy style with the flourishes turned up! 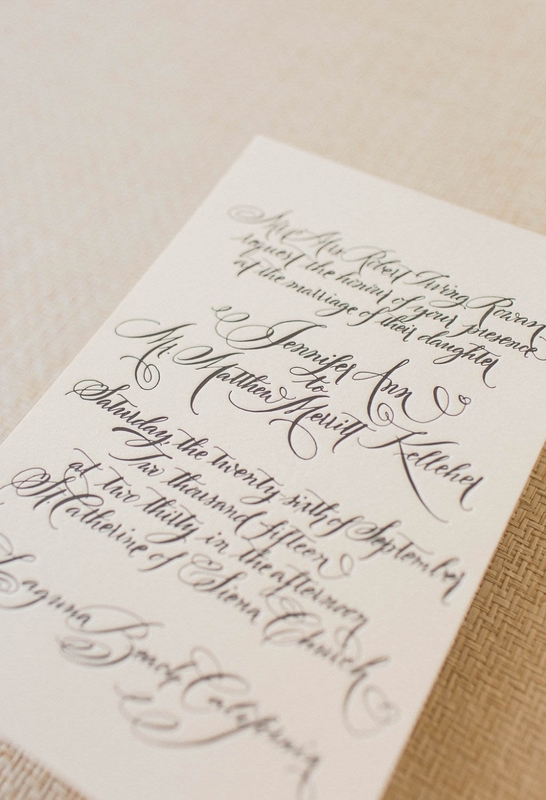 Gorgeous letterpress printing in black ink on heavy, ecru-colored paper. 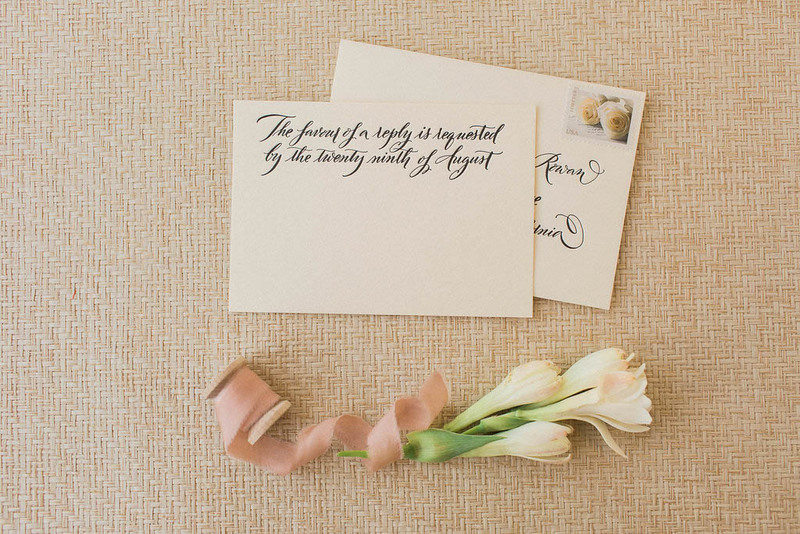 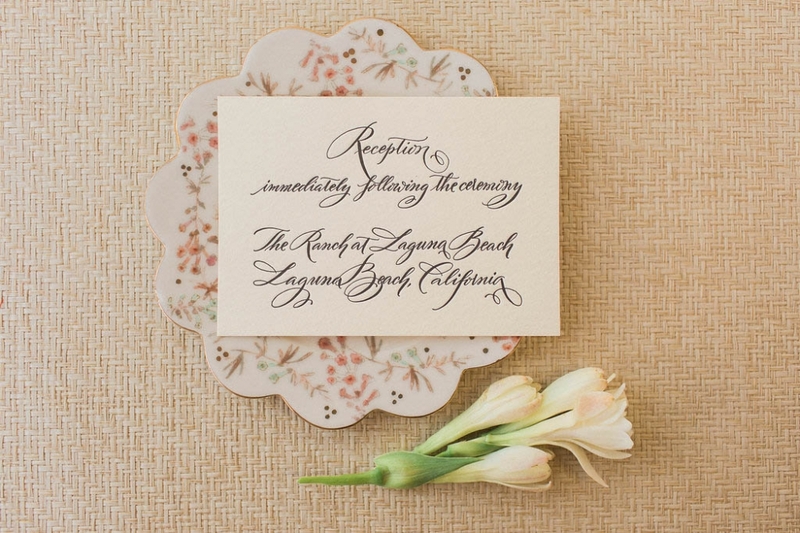 Perfect sophistication + elegance for a Laguna Beach fête!